Wow! You rounded off the week with a doozie! This image is fantastic: the pose, the inkwork - brillant. Looking forward to the annual. Stunning piece. Wish I lived closer and could put in a bid! Nice work, I really dig it. 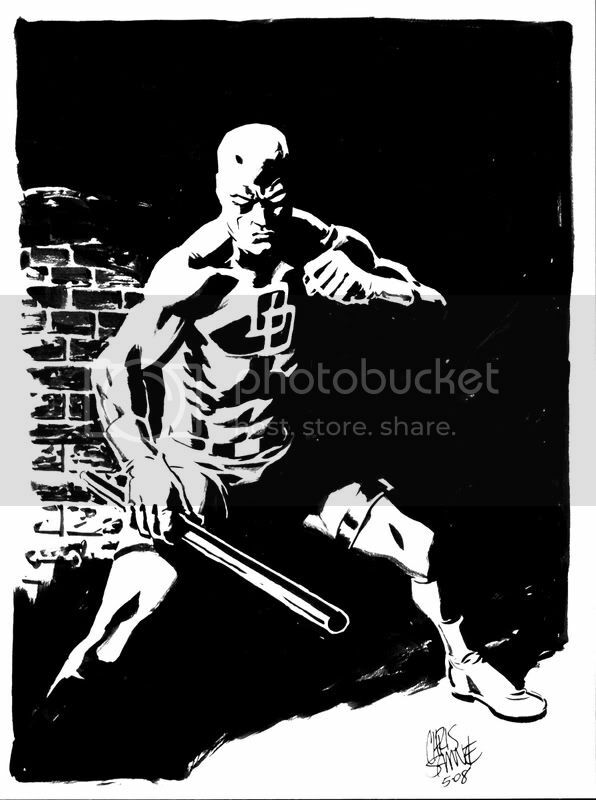 Simple and understated with a real 'noir' edge that suits Daredevil. Great. These Daredevil drawings are amazing, Chris. DD hasn't looked this cool since the Mazzuchelli days! Love your Black Tarantula designs, too.